A new literary house will sprout up in the centre of the Danish capital in May this year. 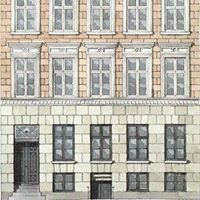 Litteraturhuset ved Vandkunsten will occupy two storeys in an old building on Nybrogade 28 that overlooks Frederiksholms Kanal and Thorvaldsens Museum. Inspired by similar venues in Berlin and Oslo, the literary house will combine a bookstore with a cafe and host a range of cultural events, such as author readings, concerts and lectures. “The house will appeal to anyone who has an interest in literature – both fiction and non-fiction,” Claes Benthien, who is an editor and one of the founders, told Berlingske. Copenhagen already has a number of book cafes and a literary house on Møllegade in Nørrebro, but Benthien contends that unlike the rest of them, the new venue will keep long opening hours every day, not just when special events are taking place.